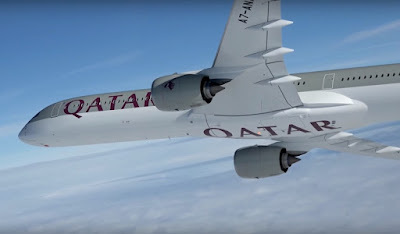 Precision aerospace parts manufactured in Rotherham have been delivered to Qatar Airways as the airline receives the first Airbus A350-1000 to enter service, powered by Rolls-Royce Trent XWB-97 engines. The Trent XWB-97 is the 97,000lb higher thrust version of the Trent XWB, the world's most efficient large civil aero engine flying today and is also the fastest selling widebody jet engine ever, with over 1,700 engines ordered by 45 customers worldwide. The other version of the Trent XWB, rated at 84,000lb, powers the A350-900 which first entered service in January 2015, again with Qatar Airways as the global launch customer. Today 290 of these engines are in service with airlines worldwide, having accumulated more than 1.3 million flying hours and achieving the best entry into service performance of any widebody engine, with outstanding reliability. Chris Cholerton, Rolls-Royce, President – Civil Aerospace, said: "We are very proud to have worked with Qatar Airways and Airbus to deliver the engines for the latest version of the A350 XWB. Both are highly valued partners to Rolls-Royce and today marks another important step forward in our relationship together. "We are excited to see the latest version of the Trent XWB entering service with Qatar Airways and look forward to this engine continuing to provide outstanding levels of reliability." Cholerton, added: "We are really proud of what this engine has delivered for our customers and to support that success we've invested heavily in technology and innovation, in manufacturing lines and new test facilities. At the peak we will be delivering one Trent XWB every working day from our facilities in Derby and Berlin. 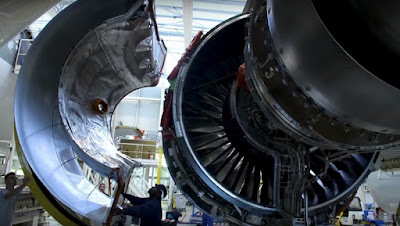 "For the Trent XWB-97 we've delivered an extra 13,000lbs of thrust, and that thrust comes from the fan rotating more quickly and the compressors rotating more quickly. And the turbine needs to work harder to do that. But our engineers were up to that challenge and we've managed to improve the fan system - get more airflow through the same diameter, we've grown physically the core of the engine, and we've inserted new materials and coatings to protect the engine life." 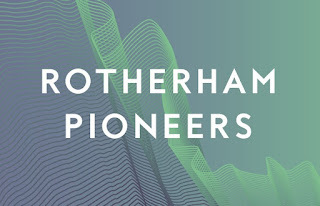 In Rotherham, making a blade as a single crystal using a modified version of the directional solidification technique eliminates grain boundaries, a source of weakness in a high stress application. Single crystal casting, exotic alloying additions and protective coatings have enabled Rolls-Royce to increase metal temperatures by approximately 300°C over the last 50 years, a figure that can be doubled when the temperature of the gas stream itself is considered.